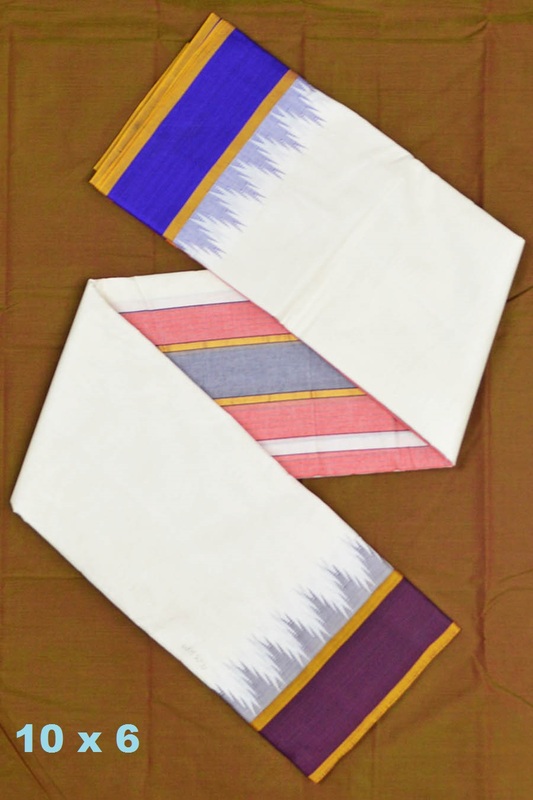 Traditional Cotton Dhoti. 10 Muzham waist piece and 6 Muzham shoulder piece. Double side Ganga Jamuna border woven with Temples.